The nation is galvanized by a young man bleeding to death at the doorstep of Ravenswood Hospital in Chicago. 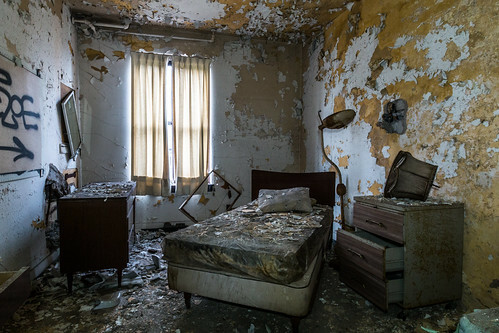 A Gary, Indiana school that gained international recognition amongst progressives now lies in ruin. 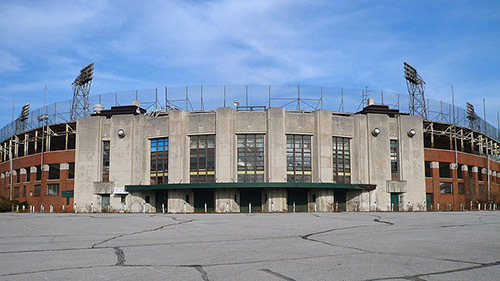 A crumbling community center in Gary, IN still attracts a crowd. 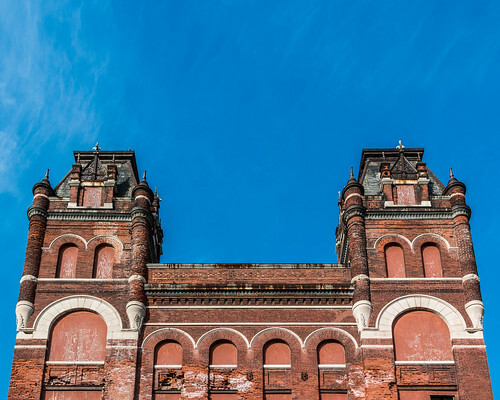 The brewery that produced "the beer that made Milwaukee famous" is slated for demolition. 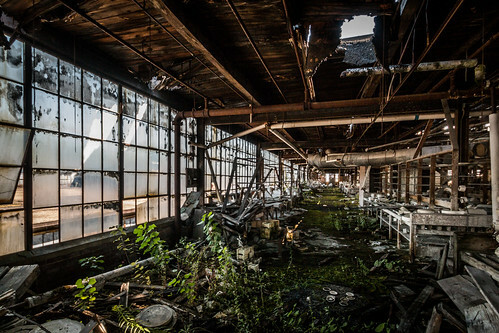 A massive abandoned factory north of East St. Louis, Illinois filled with history. A spur of the moment urbex adventure to the Barber-Colman factory uncovers more than anticipated. The man who made it all possible turns out to be quite a great American genius. Corruption and greed take down a prominent Chicago area hospital with deadly results. Gary, Indiana's first high school offered great education opportunities for students... if you were the right skin color. 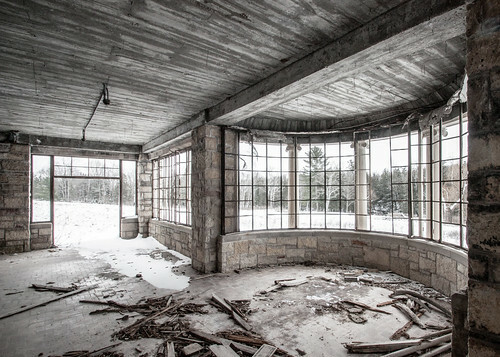 American Urbex researches and documents the fascinating histories of abandoned locations. Comments Off on Is this website abandoned? It’s been at least two years since the last post. What’s going on? Is this website abandoned? Can it be urbexed too? I’ve had to take time to focus on other things in life more important than documenting abandoned buildings. Make no mistake though that I still love the danger of urban exploration, the photography aesthetic, and the people I’ve met along the way. I do miss the writing and sharing part. The podcast was an excellent experiment that helped land me the perfect job. The American Urbex Flickr Group continually grows with excellent images from explorers all over the map. I’m proud of what American Urbex became and continues to be. There have been numerous pleasant surprises along the way. A few times I’ve been pitched for reality TV shows about urbex that I knew wouldn’t get off the ground. I’ve made a few dollars in prints to subsidize the camera gear that has broken in the course of exploration. But most importantly I’ve had the satisfaction of connecting with other people, most of whom have been friendly. 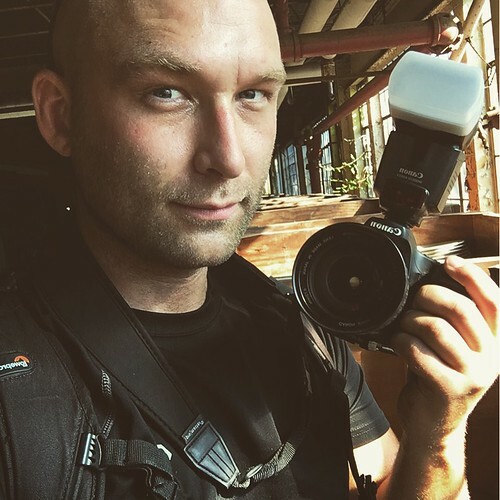 If you follow me on instagram, Twitter (American Urbex or my personal one), or the sometimes updated Facebeook page you can see that I’m still exploring. Everything else goes to my Flickr account. This year I finally made it to Berlin, Detroit, Pittsburgh, and other awesome places. Urbex continues to get me out of the house. 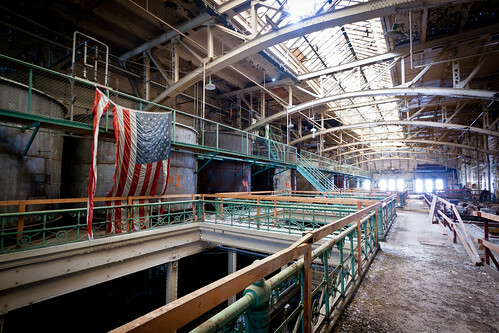 Some day I may find the inspiration to pour more effort into American Urbex. For now it will remain as-is. It’s something I can point to with the satisfaction of knowing, hey, I made this. I accomplished something good that people randomly find on the internet and hopefully take enjoyment from. If you’ve been along with me the whole time, thank you. Come with me as I venture to new places in the future. If you’re finding American Urbex for the first time, welcome. Posted in Urbex by admin. Comments Off on Is this website abandoned? Photo: Some of the remaining homes in Henry River Mill Village. 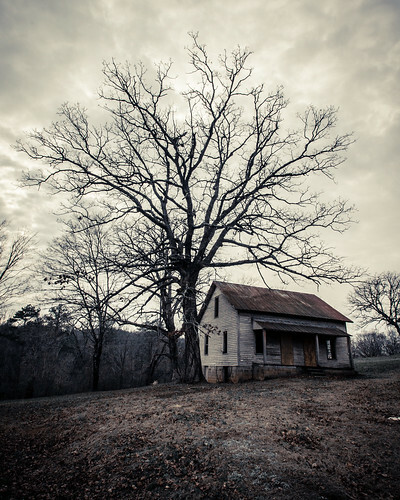 Nestled on the banks of a winding river just outside of Hildebran, North Carolina are the greyed remnants of a blue-collar community. The sound of rural silence is intermittently broken by passers-by who point out the windows of their vehicles, making note of the setting used in a blockbuster film. A sign on the side of the road indicates to gawkers that the entire surrounding area is on the real estate market. If the right buyer for the Henry River Mill Village comes along, they can own one of the few remaining intact examples of a company town. After Confederate defeat in the Civil War, poor white southern farmers suddenly faced increased competition from newly emancipated African-Americans for low-wage work. Facing destitution these farmers banded together in close-knit communities in the recessed regions of Appalachia (Carroll, p. 11-12). Though the rural citizens were eager to take up mill work, subsistence farming did not lend itself to the saving of capital necessary to purchase a home in close proximity to the mill. To ameliorate this hurdle thirty-five houses were constructed along the gradual slope leading to the main Henry River Mills Manufacturing Company building. Employees were allowed to live in these simple dwellings rent-free, or at a deeply subsidized rate in later decades. Each unit provided a family with about an acre of land for personal use, an outdoor privy, a warm fireplace to keep warm, and a place to call home. Photo: The centerpiece of the mill community was the multi-purpose company store. At the heart of the village is a two-story brick building that primarily functioned as the company store. Instead of paying workers in hard currency, employees were issued tokens that could only be tendered at the company store. This practice, common with industrialists of the era, allowed companies to reclaim workers’ salaries and keep them under company influence. Workers were not only beholden to the company store monopoly on goods, but also the social services it hosted. The company store building also served as a post-office, bank, school, and church. The doctrine taught in the classroom and preached from the pulpit often coincided with company interests. Social and economic pressure to remain loyal to the company kept workers in line. Towards the southern edge of the village are the concrete foundation of the mill that powered the community. In 1902 David Aderholdt, Marcus Aderholdt, Miles Rudisill, and Michael Rudisill purchased an existing machine shop on the 1,500 acre property. By 1905 the Henry River Mills Manufacturing Company had completed construction of a dam to provide water power to the new three-story textile mill. 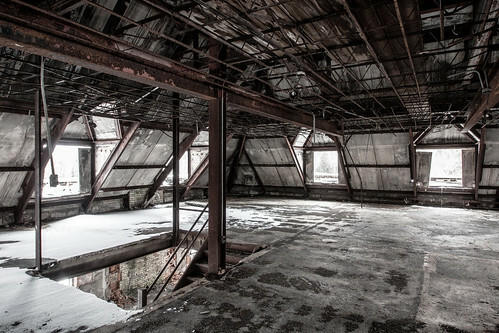 In the subsequent decades the mill expanded to meet demand by building additions, wiring its buildings for electricity, reinvesting in new mechanical textile equipment, and adapting to new market trends. The American textile industry suffered a severe decline in the 1960s as global capitalism proliferated. Unable to compete with low foreign labor costs, the mill and its surrounding community was sold carte blanche to Wade Shepherd in 1975. The investment proved disastrous as the mill was completely consumed by fire in 1977. Photo: One of the remaining 1&1/2 story homes. Despite the devastation some of the villagers remained throughout the 1980s. While the homes were adequate for the period the mill was operational, they had fallen woefully behind by modern standards. Even the occupied homes still lacked proper electrical wiring, indoor plumbing, insulation, or any significant additions. 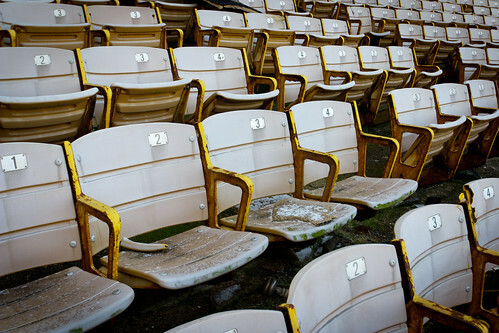 Vacant homes were long pilfered for anything of value and bore typical signs of sustained neglect. Environmental elements have greatly deteriorated the wood frame homes insuring that they will remain uninhabitable. 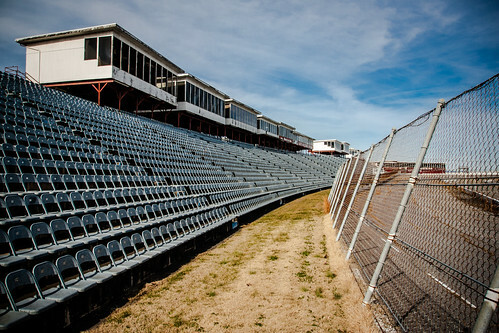 Of the original lot of 35, only 20 structures remain. After three decades of decay the homes provided a perfect setting for the poverty stricken District 12 in The Hunger Games. The village served as a backdrop in the dystopian fantasy where extreme poverty is leveraged as a means of regional government control. The blockbuster film has brought unwanted attention to the village resulting in theft and vandalism. Shepherd has posted trespassing notices, but the warnings often go unheeded by curious visitors. Repeated negotiations to sell the property have subsequently stalled. Shepherd’s high asking price of $1.4 million, the uniqueness of the real-estate, lack of utility infrastructure, and other bureaucratic hurdles related to land development have contributed to the village’s ongoing decay (Carroll, p. 94-100). The SyFy Channel show Hollywood Treasure even featured the property, but was unable to find a willing buyer. As an outsider it is tough to imagine one’s life being under the thumb of corporate masters. Although the villagers of Henry River Mill were kept in meager homes afforded by their work and nominal pay, stories from those who lived there emphasize the close-knit community they were a part of. The farm ethic of interdependence on one’s neighbors carried over and built strong community bonds. As modern working-class Americans continue to struggle with obtaining livable wages and corporate impositions on personal choice, few can claim that they have the support of their neighbors. Unfortunately the welfare of Henry River Mill Village citizens was heavily reliant on the fortunes of the controlling company. 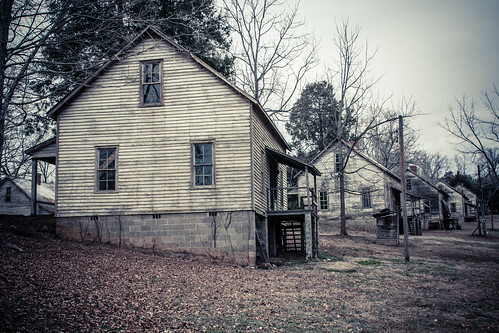 When the mill ceased operations, the village was relegated to become nothing more than a fading historical curiosity. Atlas Obscura – Article on the Henry River Mill Village. Google Books – Excerpts from Like a Family: The Making of a Southern Cotton Mill World by Robert Korstad, Mary Murphy, Lu Ann Jones. 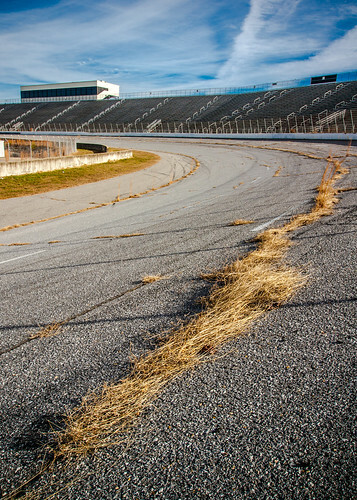 Hickory Record – Article on vandalism and theft at the “District 12” set. LearnNC – K12 teaching resource on mill village life. 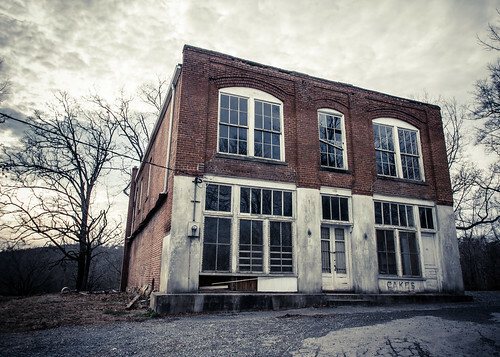 Kelly Autumn Carroll – Master’s thesis on the history and preservation of the mill. SciFi Mafia – Hollywood Treasure video featuring The Hunger Games setting. Wikipedia – Article on the Henry River Mill Village. Photo (source): Postcard of the Joseph Schlitz Brewing Company as it appeared circa 1908. With the colloquial Brew City nickname and a baseball team called the Brewers, Milwaukee is synonymous with beer. Joseph Schlitz Brewing Company was once the largest in the United States and its slogan boasted that it was “the beer that made Milwaukee famous.” However the intoxicating prestige would not last as the brewer stumbled towards self-inflicted ruin. For immigrants in the mid 1800s Wisconsin was a close analog to Germany. A temperate climate, ample farmland, untamed forests, and the abundant freshwater supply were a natural draw. These immigrants brought their affinity for beer in tow. The perfect brew of European social drinking norms, close proximity to farmland for grains, timber for barrel production, fresh water for brewing and ice, and proximity to major rail and water shipping lines made Milwaukee the perfect city for beer production. In 1849 immigrant Georg Krug brewed his own supply of beer in the basement of his Kilbourntown home. The unrefrigerated 1.5 gallon per day yield was enough for Krug to sell in his restaurant. The following year Krug hired fellow German immigrant Joseph Schlitz to assist with the restaurant bookkeeping. The entrepreneurial Krug and bookkeeper Schlitz funneled profits back into the business in order to expand the production capacity by purchasing real estate, wagons, barrels, and brewing equipment. When Krug passed away in 1856, Schlitz partnered with his widow Anna to keep the business going. The pair would marry two years later and Schlitz rechristened the company. 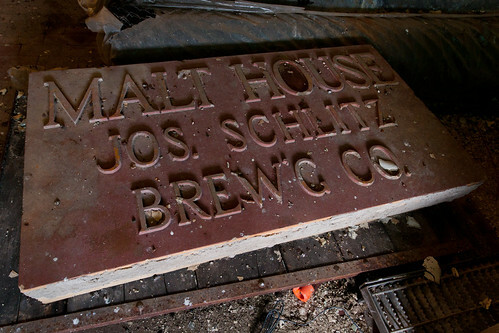 Photo: A sign that once adorned the exterior of the malt house. Schlitz established its present day location by acquiring the Rheude & Co. Brewery on 3rd and Walnut Street. In the following years the company would acquire the surrounding real estate as it sprawled in all directions. 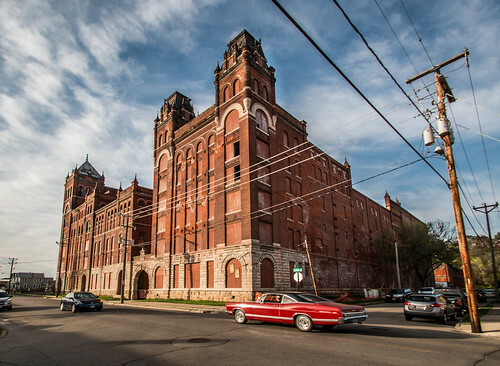 The brewery, bottling plant, garages, grain elevators, offices, railroad lines, stables, and stockhouses would eventually consume 46-acres of land. The Schlitz name enjoyed recognition within Wisconsin, but the company was able to leverage a national tragedy in their favor to expand. Between October 8-11, 1871 the Great Chicago Fire destroyed 3.3 square miles of the city. The fire wiped out 11 of the 23 breweries concentrated in the downtown Chicago area. In response Schlitz floated free beer down the coast of Lake Michigan. This act of benevolence spread by word of mouth and Schlitz gained recognition in the most important distribution hub in the midwest. With the potential for a national market opened the company issued public stock in 1873. Tragedy would again mark a turning point for Schlitz in 1875. While en route to Germany the S.S. Schiller collided with the Scilly Islands cliffs on the coast of England. Joseph Schlitz was among the drowned victims. His will stipulated that control of his eponymous brewery go to his wife Anna’s extended family. Alfred, August, Charles, Henry, Edward, and William Uihlein assumed the top management roles. Under Uihlein leadership the Schlitz brand prospered tremendously. Within a few years Schlitz beer was shipped throughout the United States, Mexico, Central America and Brazil. To secure a foothold in major cities the company purchased corner real estate to push saloon competition to the fringe. The Uihlein family further insured their interests by working in key banking and railroad sectors. Internal investment in advertising, bottle manufacturing, steam engines, refrigeration, and quality controls pushed the company past chief rival Pabst in 1902. Photo: A view from the top floor of the brewhouse. Notice the ample skylight. During Prohibition the company relied upon its impressive real estate portfolio to stay financially solvent. The rebranded “Joseph Schlitz Beverage Company” reorganized during this period to produce electrodes, timber products, baking supplies, candies, and sodas. The company weathered the 14 year dry spell and reclaimed the brewery title throughout the 1940’s and 1950’s. Schlitz’ fortunes shifted dramatically in the following years. A strike in 1952 set production back so much that Anheuser-Busch usurped the brewing crown. The two brewing behemoths continued to swap top-tier status intermittently, with Schlitz gaining short-lived competitive edges through innovation and advertising. Despite its efforts Schlitz was ultimately outmatched by Anheuser-Busch in terms of production volume. 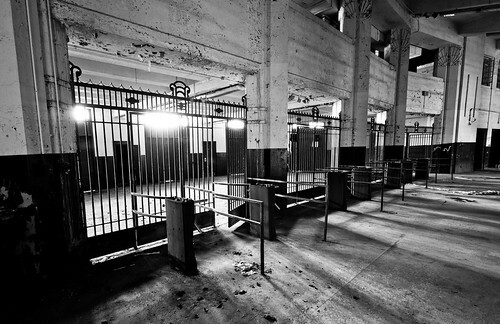 Photo: An ornate stairwell near the entrance of the brewhouse. During the 1970’s a series of strategic missteps irreparably tarnished the Schlitz name. To cut costs the company implemented an “accelerated-batch fermentation” process that cut total brewing time by 20%. There were also allegations that the company supplanted premium barley and hops with inferior substitutes and corn syrup. With this move Schlitz achieved one of the most efficient production capacities in the entire brewing industry, but did so at the expense of its brand reputation. Competition in the burgeoning light beer market also diminished the Schlitz name. The company responded to Miller Lite in 1976 with Schlitz Light. Consumers wary of Schlitz’ quality doomed the product to immediate failure. The light beer market continued to expand throughout the 1970’s with Schlitz being unable to compete. Further compounding Schlitz’ quality issues was a looming Food and Drug Administration regulation that would require brewers to list ingredients in their products. 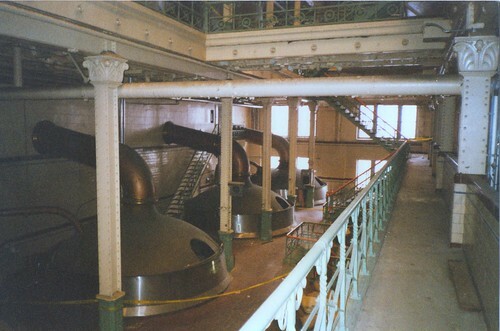 The truncated brewing processes employed at Schlitz required the addition of silica gel as an anti-hazing agent. This unpalatable addition was quietly substituted with an agent called Chill-garde. This compound was filtered out before packaging and under the guidelines would not have to be included on the ingredients label. Unfortunately the use of Chill-garde had adverse chemical interactions with the foam-stabilizing ingredient, Kelcoloid. If Schlitz containers sat on the shelf in the right conditions small protein flakes would form. Management refused to publicly acknowledge the quality issues for months as brewmasters struggled with the to find the root cause. Due to persistent consumer complaints the company initiated a quiet recall of 10 million bottles. With profits already swirling the drain Schlitz was hit with another devastating blow. In 1976 president and board chairman Robert Uihlein was diagnosed with leukemia and passed away within a matter of weeks. Robert’s death thus ended a century of direct Uihlein stewardship of Schlitz. Under new leadership the company changed course and returned to its original brewing processes. Despite improvements in quality control Schlitz was unable to recapture all but a fraction of their former glory. Photo: Film photo scan of one of the massive brass brew kettles. Date & photographer unknown. The brewery that made Milwaukee famous ground to a halt on May 31, 1981 when 720 hourly workers staged a strike. By July management countered with an announcement that the 6.8 million barrel production capacity at the Milwaukee brewery was no longer needed and would officially close on September 30. The entire company would limp along producing beer at other domestic facilities until it ultimately went up for sale. Heileman and Pabst placed competing bids in the area of $500 million for what remained of Schlitz, but were vetoed by the Justice Department on anti-trust grounds. The following year the Justice Department approved a $325 million sale of Schlitz to the Detroit based Stroh Brewery Company. Heileman had little interest in producing the iconic Schlitz beer and instead focused heavily on promoting their own Old Milwaukee brand as a substitute. Acquiring Schlitz, and their heavy debt burdens, contributed to the eventual sale of Stroh’s owned properties in 1999. In an ironic twist of fate Pabst ended up acquiring the Schlitz brand, but held off on brewing anything under the Schlitz label. After nearly a decade hiatus the beer that made Milwaukee famous was resurrected under two of Schlitz’ former competitors names. Beginning in 2008 Miller Brewing Company contracted Pabst Brewing Company to produce the 1960’s Schlitz formula. Production proved to be a challenge as brewmaster Bob Newman had to interview retired Schlitz employees to rediscover missing elements of the original recipe brewing process. The revitalized Schlitz beer appears to have enjoyed a certain degree of success in the midwest. Photo: The exterior of the brewhouse slated for demolition. Stroh’s placed the former massive 2.3 million square foot Schlitz facility on the market to recoup acquisition costs. The real estate was sold in 1983 to Brewery Works, Inc. While some of the original structures were demolished, others were repurposed into lucrative commercial spaces managed by Schlitz Park. 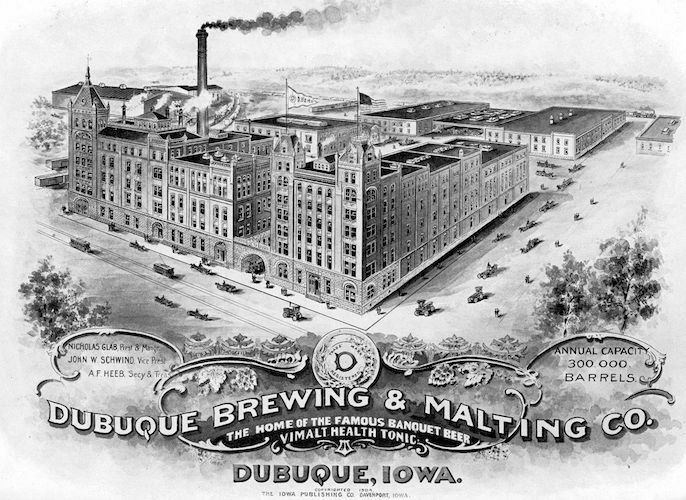 From 1983 to 2013, however, the brewhouse that put Milwaukee on the map remained undeveloped. After 30 years of decay the very heart of the former Schlitz empire will be demolished. Clearing away the brewhouse will create a one-acre park and spur renovations to the former stockhouse. Crews have already begun tearing the iconic brewhouse down. Exploring this location was quite a memorable experience. A late afternoon tip from a fellow explorer granted access to the cavernous brewhouse. As the sun was setting on a bitterly cold Wisconsin day I scrambled to capture as much as I could before losing all natural light. The sheer magnitude and architectural beauty of the brewhouse was difficult to comprehend in such a short amount of time. After spending a rousing evening complete with Schlitz beer in downtown Milwaukee, I returned to the location the next morning. While nursing an intense hangover I managed to lose track of my location within the more modern brewhouse addition and spent an hour retracing my steps. The freezing winds coming off of Lake Michigan were certainly no respite. Bitterly cold and exhausted I managed to only concentrate enough to add a few paltry shots to my meager collection. Although it pains me to see this historic landmark face the wrecking ball, it personally pains me even more to have been not properly prepared to explore it in depth. 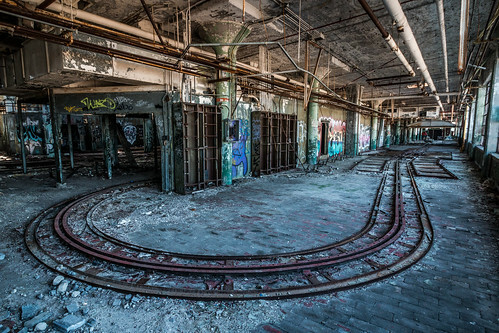 As such one of my favorite explores chronicled here on American Urbex is a cautionary tale. Beer Connoisseur – Article on the decline of Schlitz. Beer History – Beer volume statistics from 1950 – 1980. BizTimes – A brief outline for renovations on the former Schlitz property. FOHC – PDF describing Schlitz bottling and efforts during Prohibition. Google Books – A Spirited History of Milwaukee Brews & Booze by Martin Hintz with a chapter on Schlitz. Google Books – Breweries of Wisconsin by Jerold W. Apps with a chapter on Schlitz. Google Books – Brewing Battles: A History of American Beer by Amy Mittelman mentions Schlitz. Google Books – The US Brewing Indsutry: Data and Economic Analysis by Victor J. Tremblay & Carol Horton Tremblay examines Schlitz as a failed brewery. Google News – 1981 Milwaukee Journal article on the Schlitz downfall. Google News – 1981 Milwaukee Journal article on Schlitz cessation of Milwaukee operations. Google News – 1981 Toledo Blade article on the attempted Schlitz acquisition by Heileman and Pabst. Google News – 1985 Milwaukee Journal article on the brewhouse shortly after closing. JSOnline – 2009 article on renewed Schlitz brewing at MillerCoors. JSOnline – 2012 article on the demolition of the brewhouse. New York Times – 1982 article on the Stroh acquisition. On Milwaukee – Bob Newman resurrects the 1960’s Schlitz recipe. 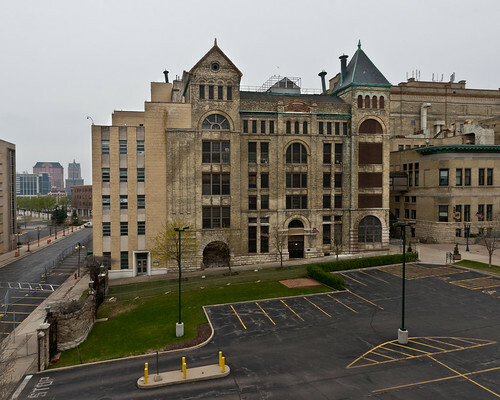 Schlitz Park – Brief history of the Schlitz Brewery property. SLAHS – Thorough history of Schlitz. 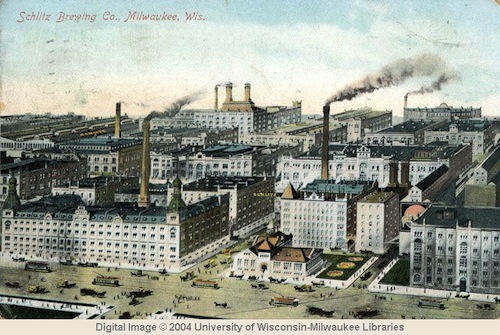 UW Milwaukee – Postcards showing the Schlitz Brewery. Wikipedia – Entry for Joseph Schlitz Brewing Company. Wisconsin History – Collection of historic photos of Schlitz ephemera. Photo: All that remains of the Alexian Brothers Novitiate. The well-to-do widow of lawyer F. M. Peters, Mrs. Jennie Peters, dearly loved her daughter. 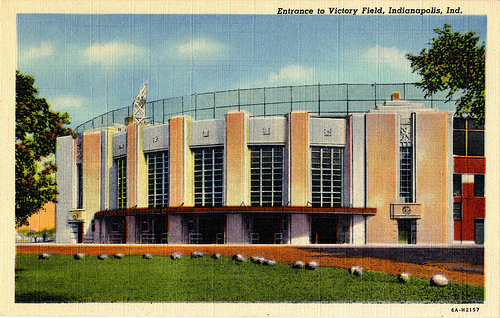 In the latter portion of the 1930’s architects John King and Gordon Feldhausen were tasked with creating a unique building just for her. Unlike the farmhouses, barns, and silos typical for the Gresham, WI community this structure would be designed around a single individual. The expansive home surrounded by trees along the banks of the Red River would provide much needed respite to Jennie’s disabled daughter Jane. Unfortunately Jane would never set foot in the house. She passed away just six weeks after construction began. Undeterred by the unfortunate events, Mrs. Peters made the mansion in the quiet rural community her home. When completed the stone Georgian colonial building featured 20 rooms. On the first floor the were the drawing room, library, guest room, dining room, kitchen, pantry and laundry. The second floor had three bedrooms, three bathrooms, and four rooms for the maids. A nearby four car garage also had quarters above it. The total cost of the property amounted to $250,000 (or approximately $3.9 million adjusting for inflation). 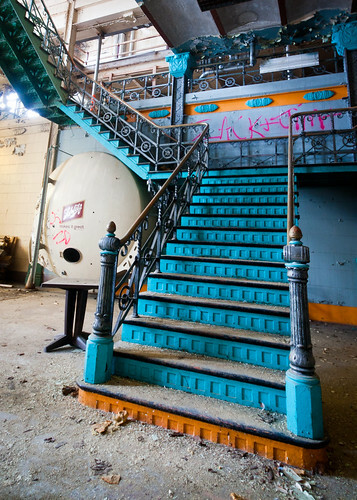 Photo: One of the few remaining beautiful architectural flairs in an otherwise empty mansion. Although Jennie was able to assimilate into the community there were rumors that one day she would give the property away. The rumor bore truth in 1950 when Jennie gifted the 232-acre estate to the Alexian Brothers Novitiate. Shortly thereafter novices preparing for service to the Catholic church moved to the novitiate to begin their training. A $1.5 million (about $12 million today) facility named Peters Hall was built adjacent to the mansion to serve the growing number of faculty, staff, and novices. The novitiate struggled to keep pace with the edicts of the Second Vatican Council, which required its religious orders provide a college level education to novices. This meant that novices had to travel 55 miles to St. Norbert’s College in De Pere, WI. The commute proved to be time-consuming, expensive, and as anyone who has driven through Wisconsin in the middle of winter knows, dangerous at times. The decision was made in 1968 to relocate the novitiate to Chicago. In the following years the property received no substantial bids when placed on the market. 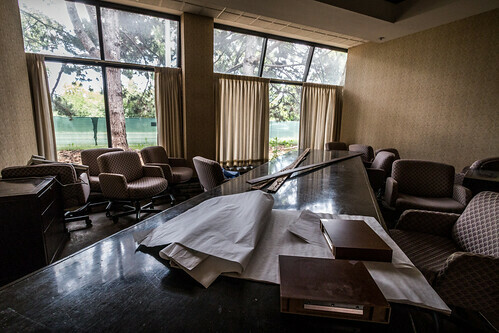 In 1974 negotiations were in motion with the Green Bay Alcohol and Drug Abuse Council to convert the novitiate into a rehabilitation center. Those plans came to a screeching halt around midnight on New Year’s Eve. The caretaker Joe Plonka, his wife, two children, and two friends were awoken by armed members of the Menominee Warrior Society seizing control of the novitiate buildings. The Menominee Warrior Society began their occupation of the property claiming that the lands rightfully belonged to their tribe. Photo: The top of the mansion where Menominee Warrior Society members kept watch. 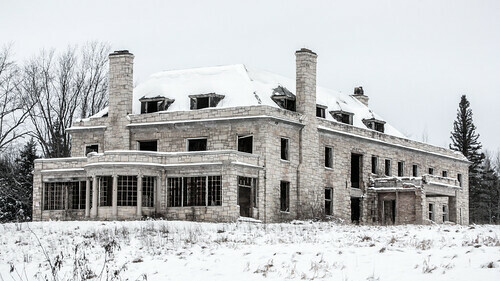 Seeking to avoid bloodshed the Alexian Brothers Novitiate sold the property to the Menominee Tribe for $1. On February 3, 1975 the members of the Menominee Warrior Society willingly turned themselves over to the National Guard. The 34 day standoff ended with no major injuries between the Menominee Warrior Society and officials. The ordeal could have ended a lot sooner as Menominee Warrior Society general Mike Sturdevant later admitted that they ran out of ammunition on January 4. As per the negotiated agreement the Menominee Tribe would have to make a “good faith” effort to reimburse the novitiate $750,000 for the property. 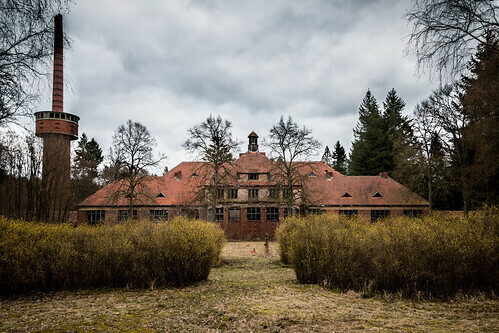 They were unable to afford upkeep on the facility and ceded control back to the Alexian Brothers Novitiate after just five months. The novitiate fielded several proposals from potential new occupants, but nothing substantial ever materialized. On the morning of October 11, 1975 the neighbors adjacent to the novitiate noticed smoke billowing above the trees. Due to a dense fog a fire raged for hours within the mansion. Responders to the scene described the inside as a total loss. After the suspected arson the property changed hands several times. 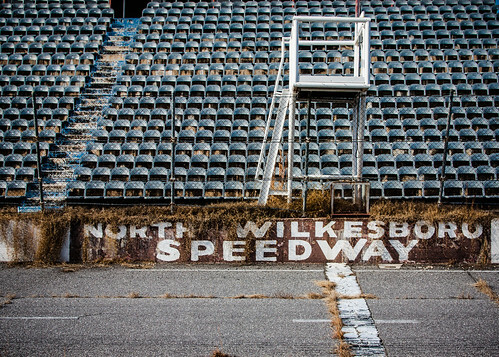 The remaining structures fell into disrepair after decades of neglect. Frequent break-ins and vandalism hastened its decline. In 2003 everything but the mansion was torn down. Some of the land has since been parceled out, though the main property with the gutted mansion remains. Alexian Brothers – Comprehensive history of the Alexian Brothers Novitiate estate in Gresham, WI. Google News – April 13, 1941 Milwaukee Journal article describing the origins of the mansion. Google News – January 2, 1975 Milwaukee Journal article on the Menominee Warrior Society occupation. Google News – February 4, 1975 News and Courier article on the history of the Alexian Brothers. Google News – March 17, 1975 Milwaukee Journal article on the lack of ammunition. Google News – October 13, 1975 Lewiston Daily Sun article on the fire in the mansion.